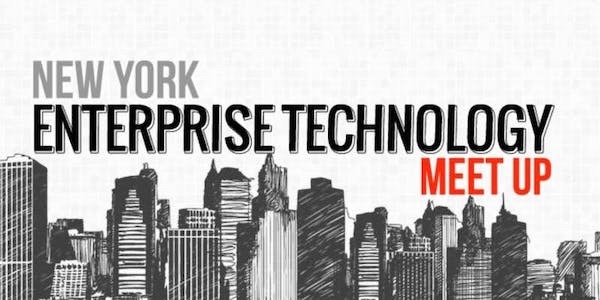 Join fellow technologists, entrepreneurs, and investors for the NY Enterprise Technology Meetup’s (NYETM) April meetup on Wednesday 4/17/19 from 6:00pm-8:00pm at Work-Bench! For our April meetup, we’ll have 2 demos and an Enterprise VC Fundraising Trends panel moderated by Polina Marinova of Fortune. Crissy focuses on investments in B2B SaaS and enterprise application businesses as a Principal at Primary Venture Partners. Prior to joining Primary, Crissy spent the last few years of her career operating at startups with a focus on mobile software and developer tools, most recently as the Director of Growth at Ionic, the world’s largest cross-platform development framework. There she created the enterprise product line, developing both the go-to-market strategy and the product marketing materials needed to scale the business. Graham Brown is a Partner at Lerer Hippeau. He works closely with LH portfolio companies WorkJam, Clubhouse, Ordway, Klara, and Guideline. He came from SoftBank Capital, where he focused on early-stage investments in mobile and web companies, with a particular interest in marketplaces. He previously worked as an associate at Polaris Partners and helped lead digital strategy at preventive health company Life Line Screening. Vipin is a Principal at Work-Bench focused on investments in ML/AI infrastructure, developer tools, and cloud-native technology. Prior to joining Work-Bench, Vipin worked in the Office of the CIO at Bank of America, where his team vetted hundreds of startups a year and onboarded many as vendors. Polina is an editor at FORTUNE and the author of Term Sheet, FORTUNE’s newsletter about deals and dealmakers. Her coverage focuses on venture capital, private equity, technology, and startups. Polina has also worked on franchises including 40 Under 40, the Fortune 500, and Most Powerful Women. 2. Union Crate – Union Crate is a supply chain platform that simplifies demand planning and daily operations for consumer goods companies.